Area excavation has certainly had its uses on historical sites, but excavation techniques should vary, depending on conditions and research questions. Presented with an historical inventory of large buildings on a copper mine, dated to 1861, how would you search for them? Site survey had demonstrated that many smaller buildings showed up, terraced into the hill slope, but there was one area of near level alluvial soil near the creek. Because it was level, the paddock was featureless, with no evidence of buildings. 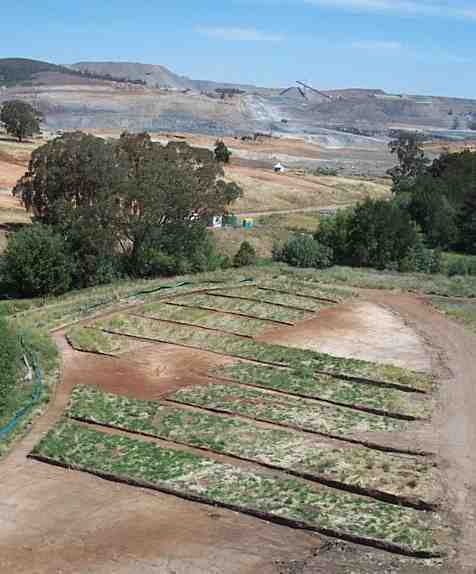 What would be the most economic and efficient way of excavating that paddock to locate any buildings? Just this situation arose during the excavations of Cadia Village in advance of mining in 2002. At the north end of the paddock there was the site of a known building, marked by a still extant well, but elsewhere there was no indication of any surviving remains. It was decided to trench the area by machine at 10 metre intervals with trenches 2 metres wide. Where features were located in these trenches, the excavation was extended into area trenches. As a result a large aisled building and a smaller industrial structure were located. The test-trenching provided a 20% sample, with a distance of 8 metres between each 2 metre wide trench. The excavation technique was highly successful for finding large buildings in otherwise featureless landscape. 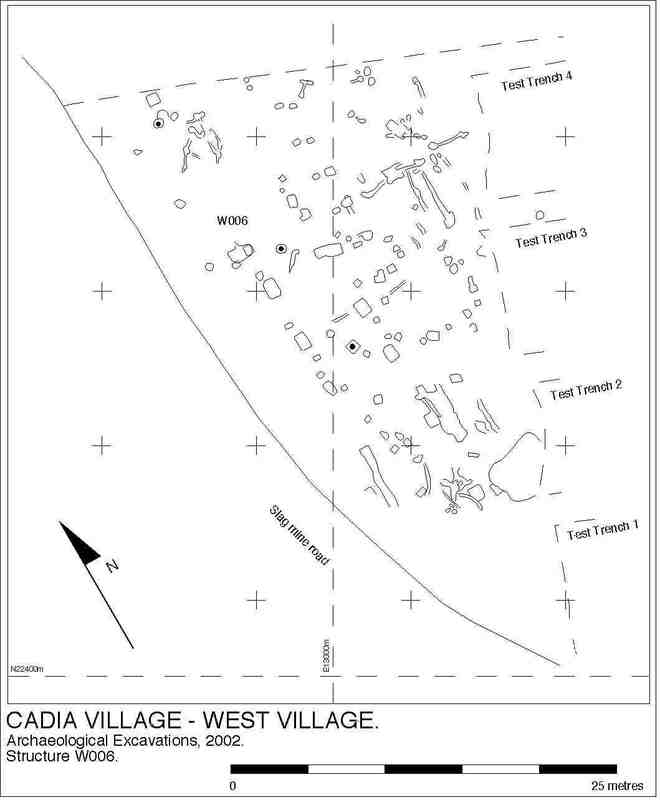 Pattern of test-trenches used to locate the sites of large industrial buildings, associated with the 1860s copper mine at Cadia, near Orange. Plan of large building, located by test-trenches, Cadia Village, near Orange.